Leaves skin looking soft, smooth and supple with a healthy glow. This unique 24 carat gold scrub will help reveal a smoother, clearer and youthful skin. JOVEES Gold Scrub having delicate granules that penetrates deep into the skin to clean, wipe-away spent surface cells and help remove dead epithelial cells.. This process leaves skin looking soft, smooth and supple with a healthy glow. 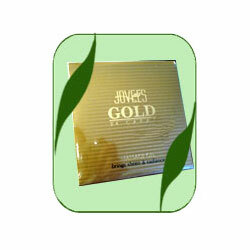 24 Carat Gold Leaves, Aloe Vera ext., Wheat Germ oil, Grape seed ext.